Description During a spin certification test, the aircraft entered an unrecoverable spin. The crew bailed out and the aircraft collided with terrain. The aircraft was substantially damaged. Description The aircraft was en route from Kitale to Nairobi and crashed into a mountainside, killing all 10 occupants. The wreck was located on the morning of June 7 at an elevation of 11000 feet on Elephant Hill in the Aberdare mountain range. Description The aircraft was spraying insecticide on a wheat crop when it crossed a road at low altitude and collided with a truck. It burst into flames and was destroyed on impact. 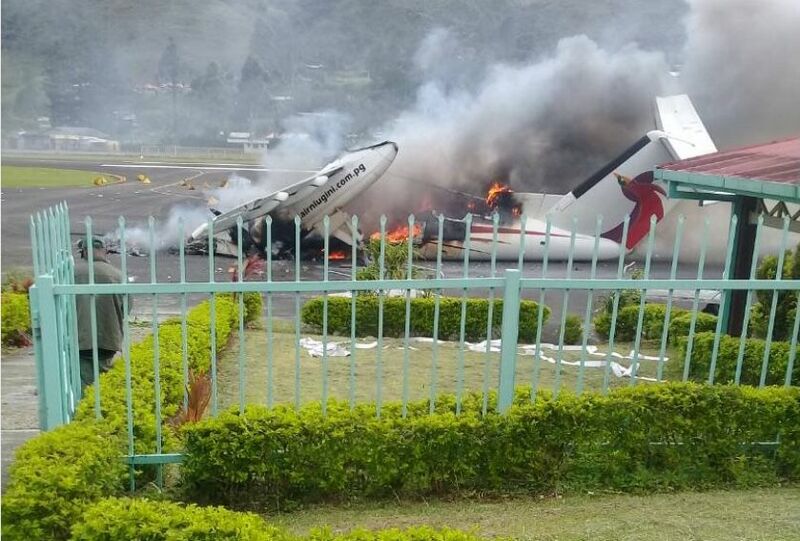 Description The aircraft bounced several times on landing causing the nose landing gear to collapse. The aircraft subsequently run off the runway and crashed into an airport fence. Description The aircraft was being towed when a fire broke out in the tow tug. The plane sustained substantial damage to the nose and cockpit section. Ten airport staff, consisting of ground crew and emergency responders, suffered minor injuries as a result of smoke inhalation. 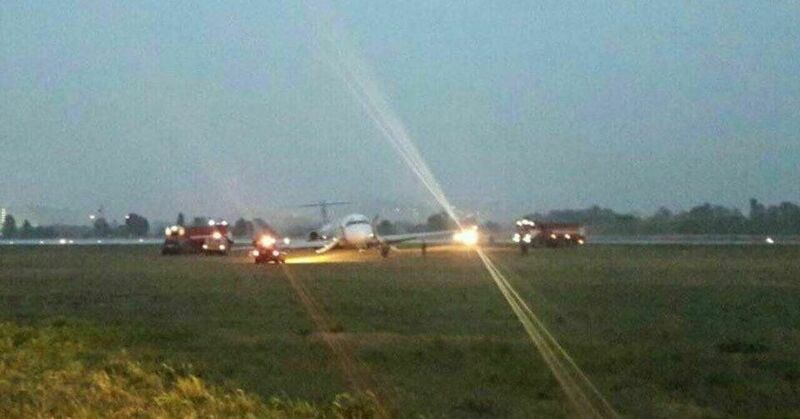 Description The aircraft suffered a runway excursion after landing. There were no injuries among the 169 occupants. At the time of landing a thunderstorm was passing the airport with light rain and wind changing in direction at 19 knots, gusting to 33 knots. Description After landing, the plane was shot at by Papua separatists. The airframe sustained bullet holes. The co-pilot was injured as a result of a gunshot. Description The aircraft was transporting kerosene from Conakry to a reserve depot of a mining company at Léro and crashed killing all four crew members. 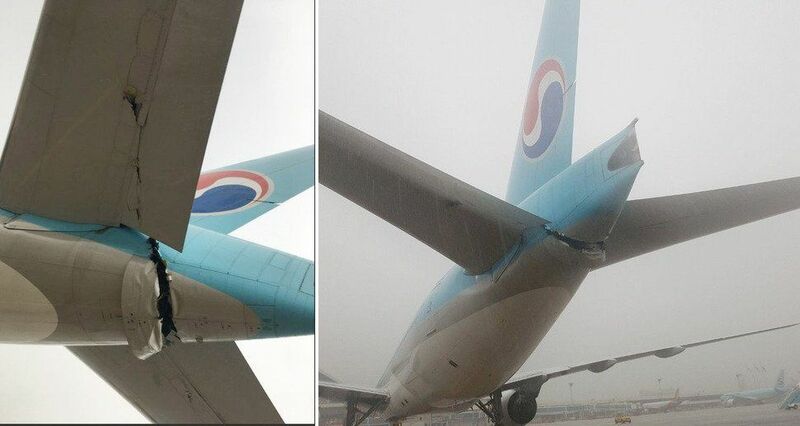 Description The aircraft sustained substantial damage to the rear underside of the fuselage after being struck by an Asiana Airlines Airbus A330 that was being towed from a parking spot to a gate. The Boeing 777 was also being towed to a gate but had stopped on the apron at an intermediate holding position opposite the gate. The right-hand winglet of the Airbus then impacted the horizontal stabiliser and underside of the rear fuselage of the Boeing 777.